Home > Cups, Mugs & Napkins > Mugs > Hush Mug 15oz. 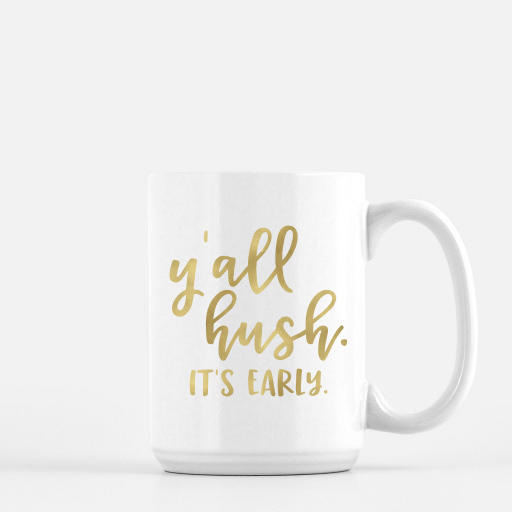 Description: Fend off those pesky morning people with our "Y'all hush mug" -- perfect for chatty kids or early morning meetings. Choose from gold foil, silver foil, or black ink. Mugs are printed on demand. Please allow 5 to 7 business days for delivery.